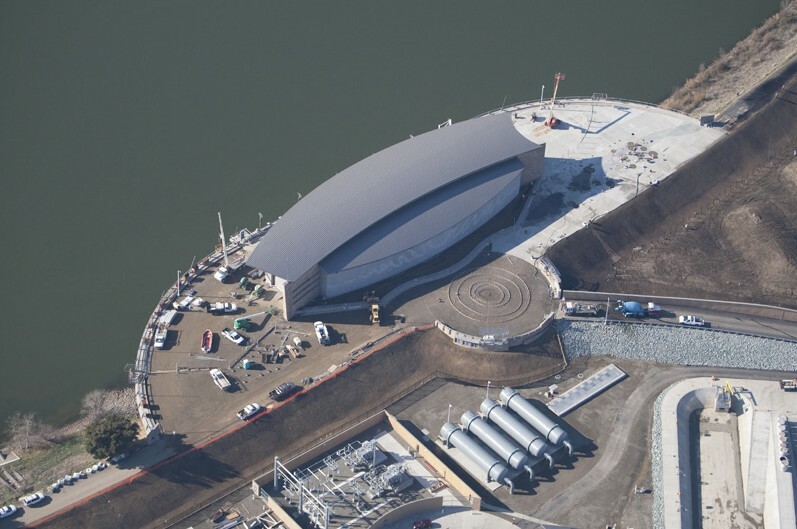 This new Water Intake Facility and Pumping plant located on the Sacramento River, upstream of the town of Freeport, diverts water and pumps it through pipelines to other FRWP facilities. 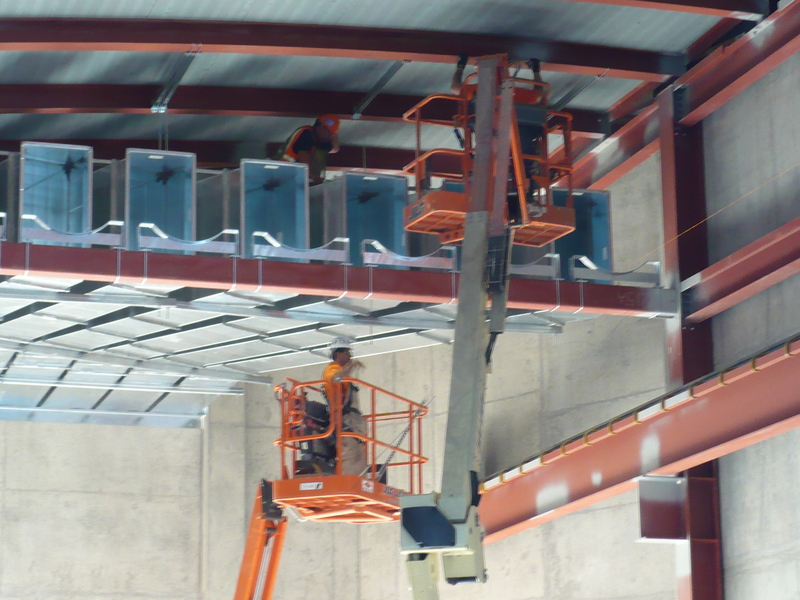 Eight vertical turbine pumps with 2,000 horsepower electric induction motors give the plant the capacity to pump up to 185 million gallons of water per day. 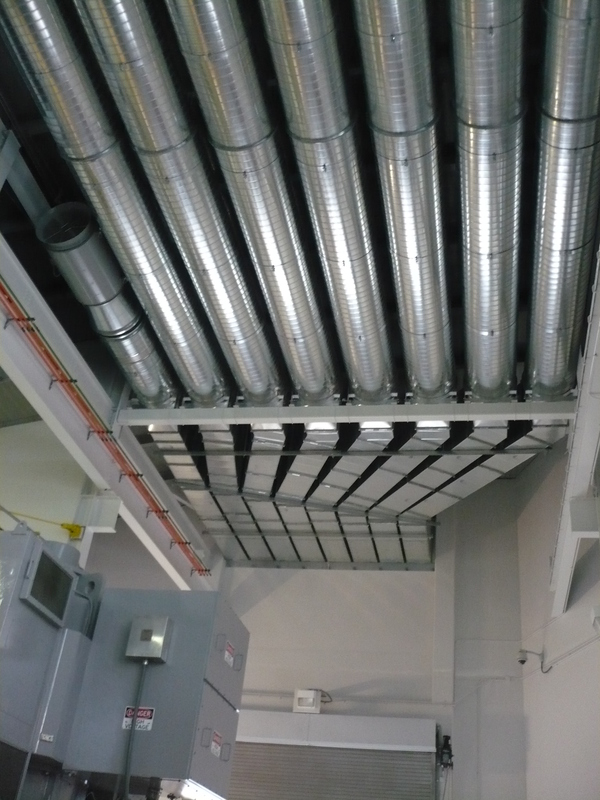 Critical to the operation of such large pumps and associated electrical equipment, is the need for large temperature control and cooling systems. 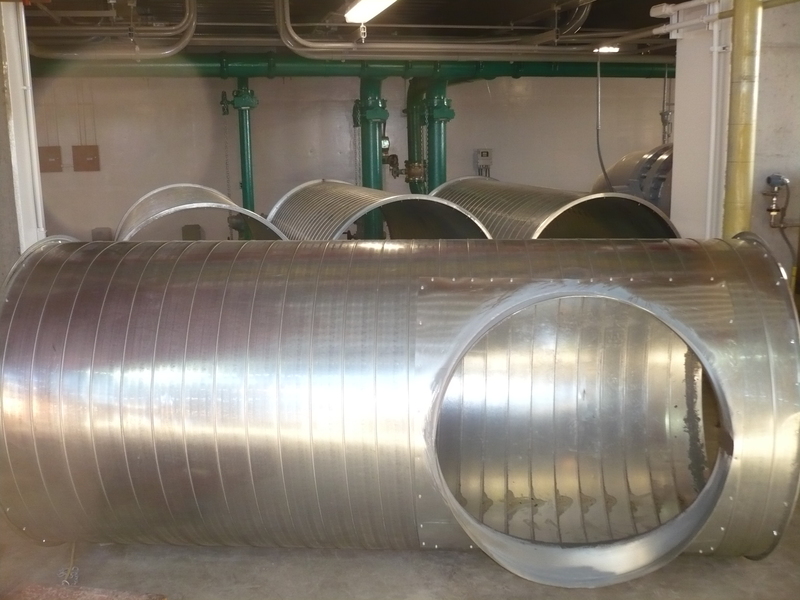 BCI’s scope of work on this project involved furnishing and installing the ventilation systems, which included Large Pump Room Fans and Evaporative Coolers, and over 1,000’ of 54” and 36” ductwork located throughout multiple buildings. 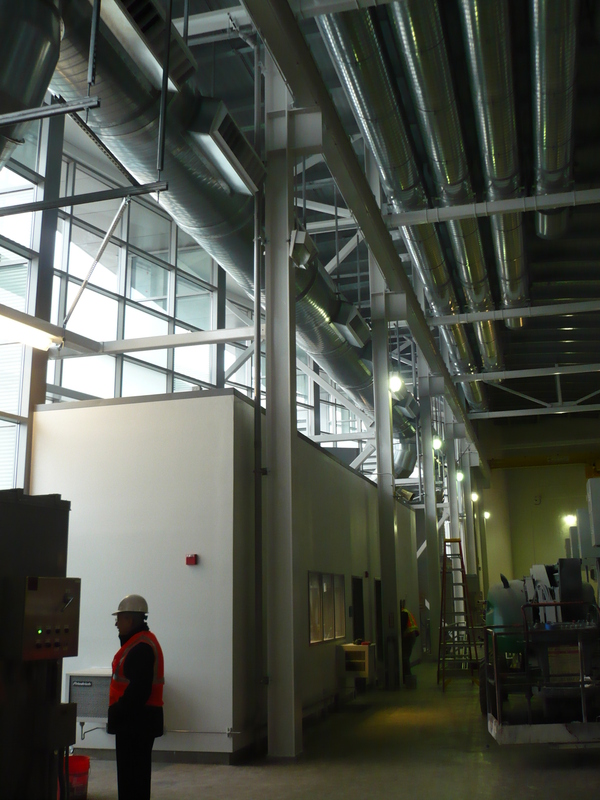 BCI took a proactive approach in coordinating our work with the General Contractor, Balfour Beatty, but also with other trades in coordinating each others work within the small workspace of the buildings. 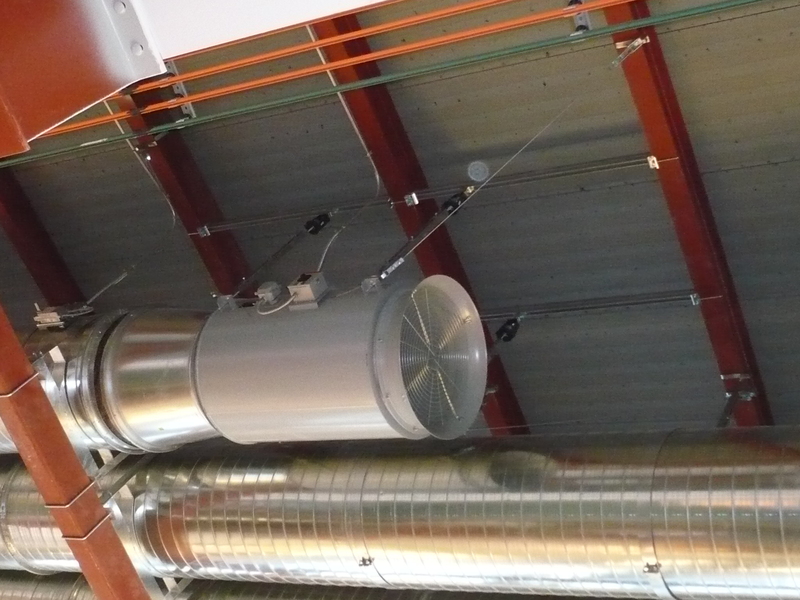 – Most ductwork installed over 25’ above finished floor.